Is Hawaii’s New Minimum Wage Enough to Make Ends Meet in Paradise? Can You Live in Hawaii on the New Minimum Wage Rate? If you’ve ever visited Hawaii, you probably caught a case of Mahalo Fever and started planning a move to the islands as you lounged in a hammock on the beach sipping Mai Tais. But what would you need to earn to pay rent and groceries? Honolulu has the highest cost of goods and services across all U.S. cities, and Hawaii comes in second only to Washington D.C. for Regional Price Parities as determined by the U.S. Bureau of Economic Analysis. Although there is a 4.4 percent unemployment rate in Hawaii, 17.3 per cent of Hawaii’s population lives in poverty. For a family of four (two adults, two children) to put food on the table (store bought, no eating out) and to live in a decent two-bedroom apartment (about $2,000 per month), each adult earning minimum wage would need to work full-time and some overtime each week, but that’s without making a car payment or driving anywhere at $4.36 per gallon. 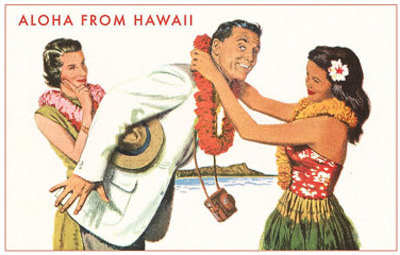 The cost also does not include cell phones for you and the kids, and it definitely does not include $14 Mai Tais. Can you do it? Yes, it’s possible. Heck, it’s not easy living on minimum-wage income no matter where you live. At least in Hawaii you’d see paradise on your way to your job. Can I Live on the Beach in Hawaii? Hawaii has 750 miles of shoreline and more than 400 beaches, so it makes sense that you might want to check into “Hotel Sandcastle” for an uninterrupted snooze on the sand. But be warned: although all beaches in Hawaii are legally public beaches, local law enforcement may chuck out nuisance beach bums, sometimes at the behest of the landowners lurking behind the vegetation line. Check out this thread full of unverified opinions on the matter. Sit/Stand ordinances are also making it more difficult for the homeless in Hawaii to panhandle or lie down on public benches. And for what it’s worth, Minnesota has more than 90,000 miles of shoreline – the most of any U.S. state. Just bring some wool socks to wear with those flip flops during a winter on Leech Lake. Want to Keep Informed of Labor Law News? Can Employees Discuss Pay and Salaries? Do Donald Sterling’s Racist Comments Merit EEOC Enforcement?